Swimmers Barely Dodge Shark Attack! Ruger has just announced a “Flash Sweepstakes,” a giveaway with a short two-day window for a gun they’re planning to launch next week. We don’t know what they’re giving away and that’s part of the fun. What it could be is anyone’s guess, as Ruger makes a fantastic range of products. We know it’s a gun, but it could be a handgun, rifle or shotgun. This giveaway blitzkrieg starts tonight and ends at 9:00 a.m. Eastern September 4. Ruger will announce the winner on September 5 and have the gun waiting at the winner’s FFL on Monday, September 8, the day the new firearm will be launched nation-wide. 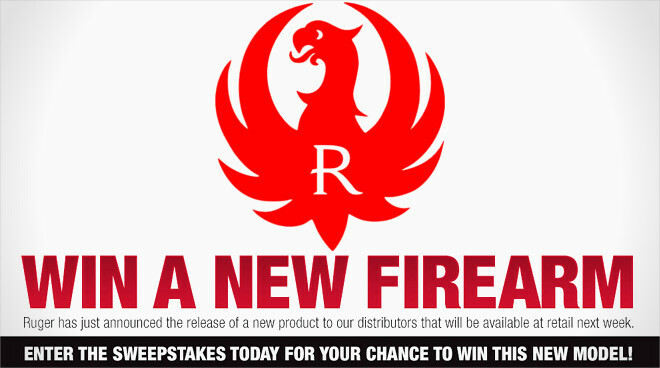 To enter head over to the Ruger “New Unannounced Product” sweepstakes page. What do you think Ruger’s got up their sleeve?